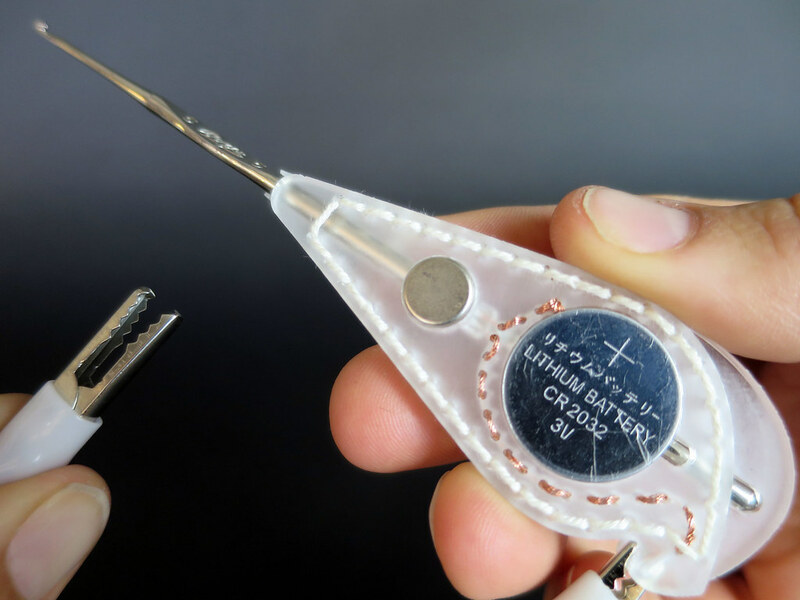 This crochet hook translates electrical resistance into vibration, making electrical resistance a tangible property of an E-Textile making process. The Ohm Hook allows you to develop an electrical sense for the materials you work with. 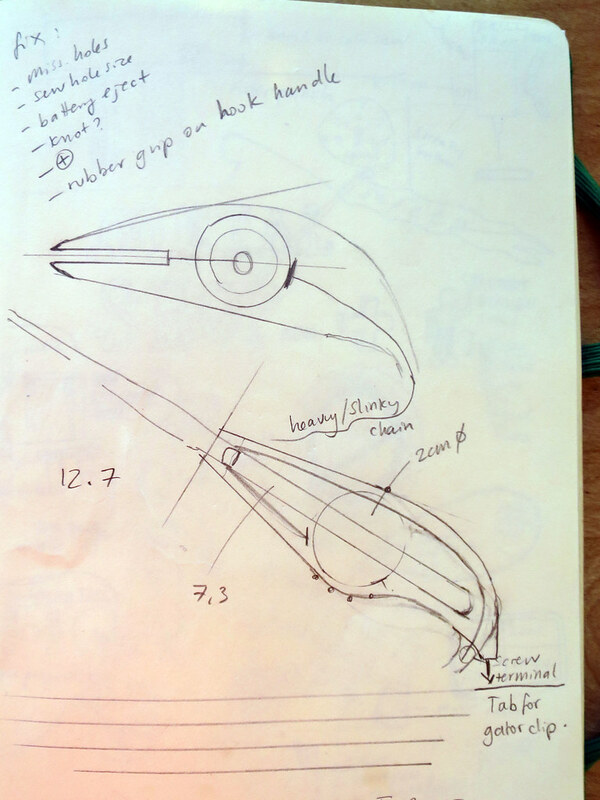 For example, if you are crocheting stainless steel yarn to make a stretch sensor you can tailor your design to the range of resistance you want because you immediate feedback on the resistance of what you are making.